3M™. Permanent double-sided tape, high bonding and resistance to traction. No traces after removal. Excellent dimensional stability and suitable for cutting, punching and lamination. High bonding on most surfaces. 3M™. Permanent double-sided tape, high bonding and resistance to traction. Excellent dimensional stability and suitable for cutting, punching and lamination. High bonding on most surfaces (including LSE plastics). 3M™. Permanent double-sided tape, high initial bonding and good resistance to high temperatures. Suitable for cutting, punching and lamination. High bonding on most surfaces. 3M™. Permanent double-sided tape, bonding on vast range of materials including plastics and foam. Excellent bonding in open cell foam. Suitable for cutting, punching and lamination. Permanent double-sided tape, high initial bonding and good dimensional stability, suitable for a variety of surfaces. Suitable for temporary fixing. Not suitable for external use. Permanent double-sided tape, good initial bonding. Good resistance to ageing and temperatures. Suitable for application of various surfaces. Low odour emission. Solvent free. Permanent double-sided tape, high bonding and excellent initial tack. Excellent conformability to curved surfaces of any expanded material. Good bonding on LSE plastics. Excellent resistance to temperatures. Particularly suitable for punching and laser cutting thanks to protective plastic film. Permanent double-sided tape, very high initial bonding, suitable for different substrates. Excellent bonding on LSE plastics. Not suitable for applications where resistance to high temperatures is required. Permanent double-sided tape with matt black support, easy-peel liner. Frequently used for indicating splices (Paper mill and paper processing). High initial tack, good resistance to UV and temperature. Permanent double-sided tape, good tack and initial bonding. The thickness makes it ideal for bonding porous materials, e.g. polyethylene (PE), polyurethane (PUR) and polystyrene (PST). Guarantees excellent results both indoors and outdoors. Good resistance to temperature. 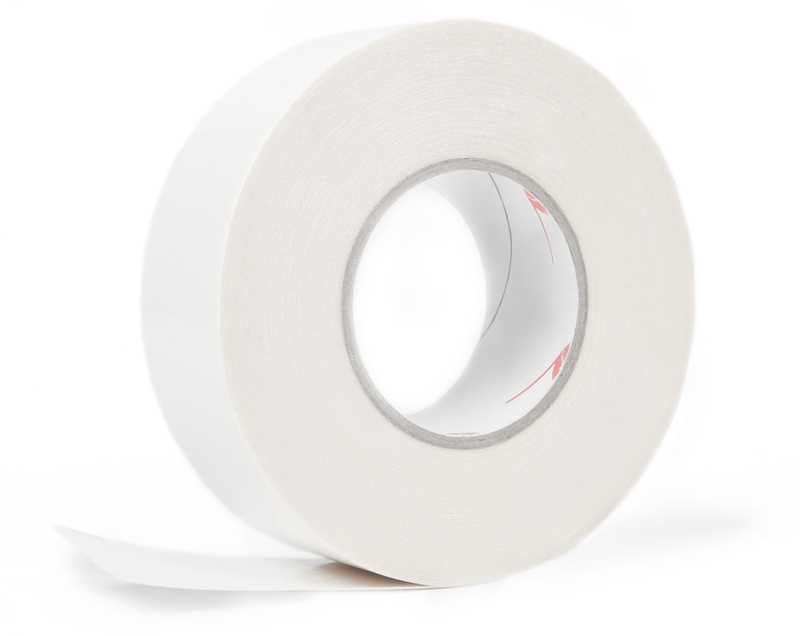 Permanent double-sided tape, easy-peel liner. High initial bonding, suitable for LSE surfaces where heat resistance is not required. Permanent double-sided tape, excellent resistance to high temperature (200 °C), high initial bonding. Specifically designed for corrugated cardboard splices. Low grammage. Permanent double-sided tape, excellent resistance to high temperature (200 °C), high initial bonding. Specifically designed for corrugated cardboard splices. Medium grammage. Permanent double-sided tape, excellent resistance to high temperature (200 °C), high initial bonding. Specifically designed for corrugated cardboard splices. High grammage.